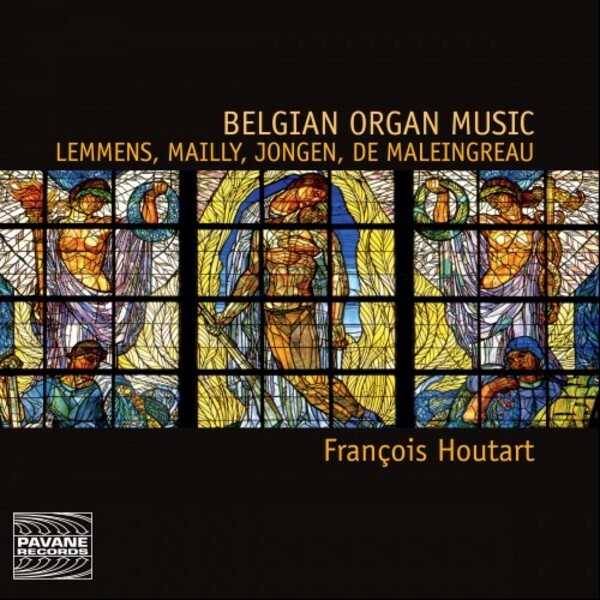 This CD celebrates the restoration of the great Walcker organ in the church of Notre-Dame in the Abbey of La Cambre (Brussels). François Houtart has endeavoured to give life to its originality by using the colours of the instrument in a program of sparkling works from the Belgian repertoire for organ from the 19th and 20th centuries. Lemmens played a central role, both in the transmission of knowledge of the works of Bach which he played, and also in the opening of new perspectives for organ technique and composition. Mailly takes its place perfectly within the symphonic organists of the 19th Century. Jongen, a musician of prodigious ability, left us an impressive catalogue that resonated far beyond the borders of his native country. Paul de Maleingreau was intensely interested in early music and his suite is a work to be discovered in its subtle formality and the atmosphere inspired by symbolism.